Mbot is for students at institutions that use Moodle™ systems. Mbot provides access to the information from courses that you are enrolled in (you must be enrolled in a course for it to show up), and remembers what you've viewed. Is this project related to MOMO? 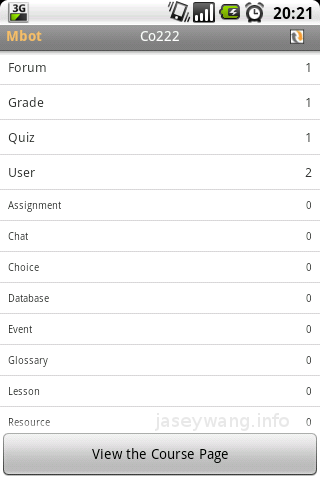 http://mobilemoodle.sf.net) maintained by Matthias Meisenberger. full of bugs and the installation was pretty complicated for a moodle plugin. 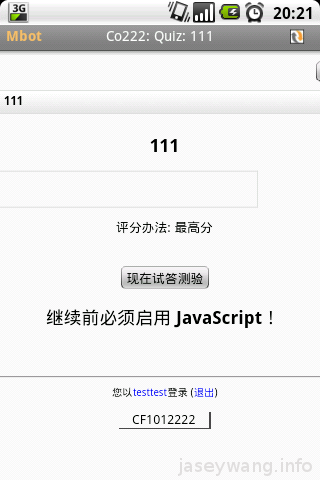 This entry was posted in *nix and tagged moodle by jaseywang. Bookmark the permalink.